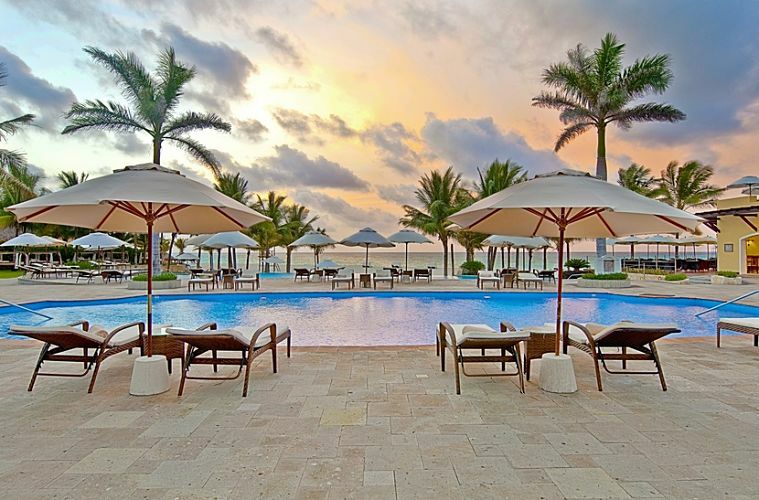 Five-star Royal Hideaway Playacar Resort is an all inclusive, adults only, villa-style property situated on 13 acres of beach on the Yucatan Peninsula. Within the resort are fountains, winding rivers, and waterfalls. 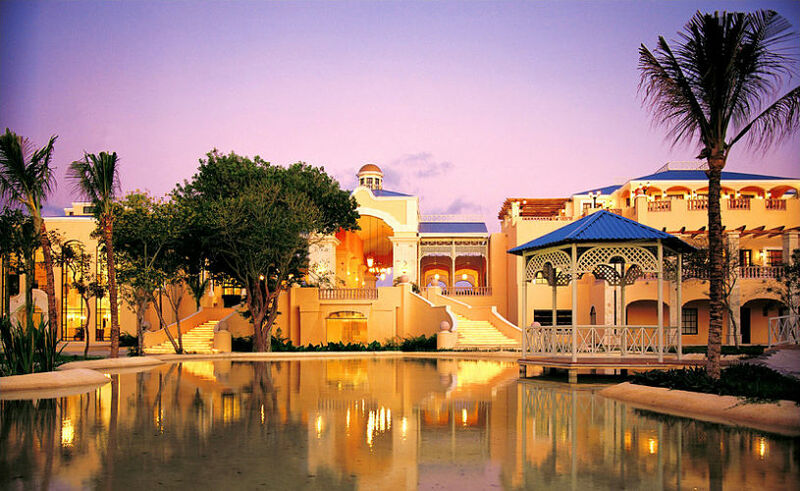 The Royal Hideaway is ideal if you are seeking an all-inclusive, villa style atmosphere. The luxury rooms number 200, and there are 6 restaurants, including a la carte and buffet, 5 bars, a spa and fitness center, and sports facilities. 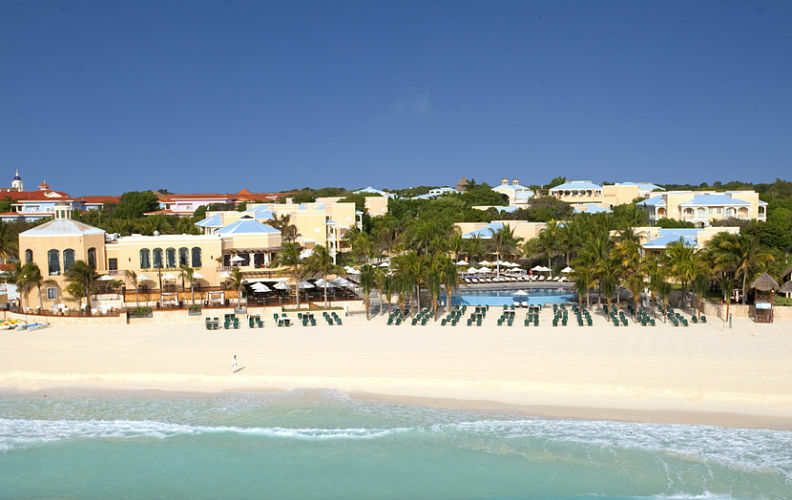 The best location and a unique setting make the Royal Hideaway a great choice for a romantic or a family vacation, and any occasion. 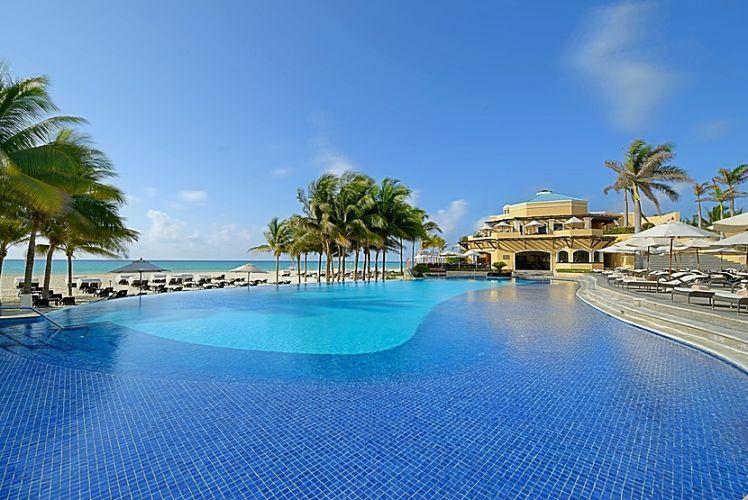 At the 200 rooms Royal Hideaway Playacar, there are plenty of entertaining and fun activities that every guest will enjoy. 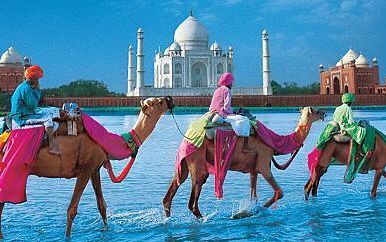 There are also local sights and attractions to explore either by bus or a cruise. 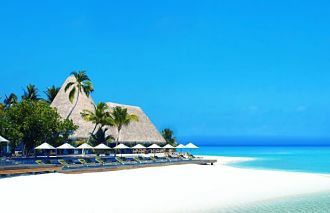 You can go scuba diving or snorkeling among the coral reefs, or exploring the shipwrecks. Have a taste of international and local cuisine prepared by renowned chefs at the resort’s restaurants. 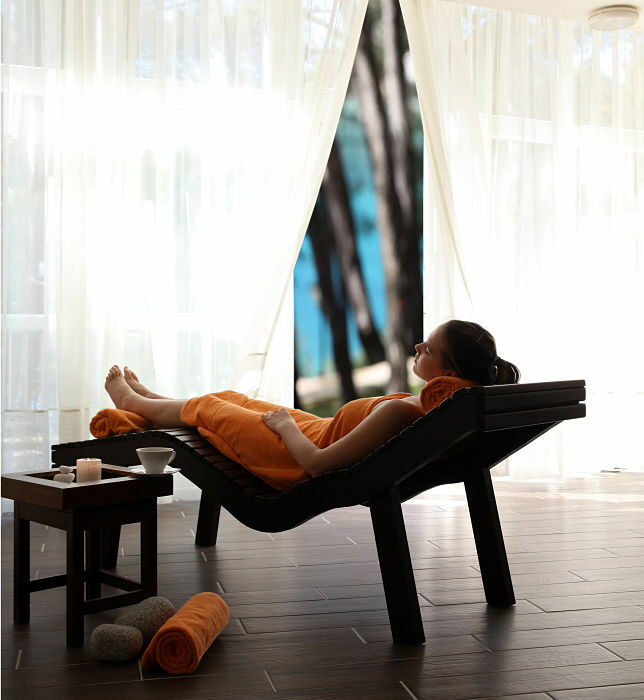 Relax and unwind at the spa offering the most advanced therapies to guests, including rejuvenating treatments, massages, mud and mineral wraps, performed by expert therapists. 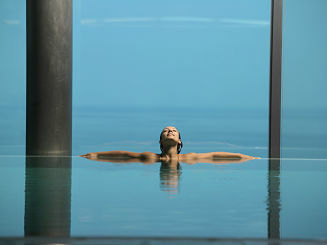 At the resort spa, your vacation can turn into a world of wellbeing and tranquility. 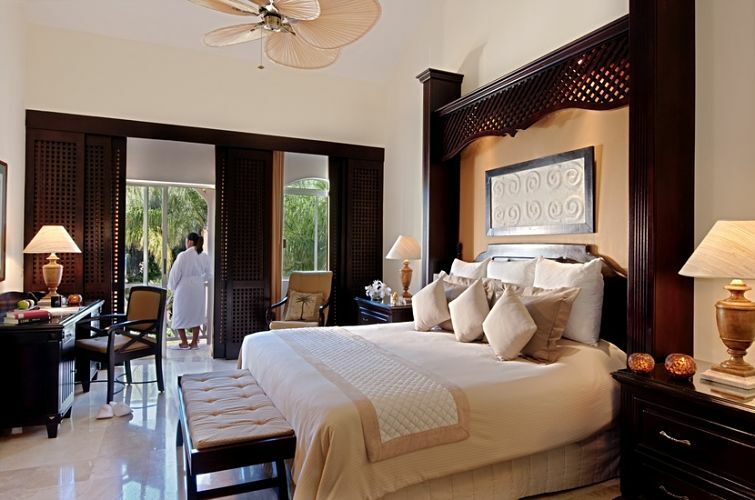 Presidential Suites are the most exquisite rooms of the Royal Hideaway Playacar Resort. 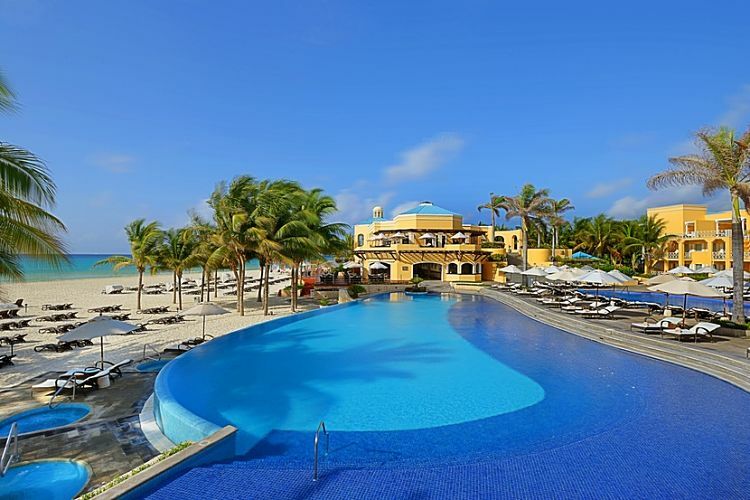 These are ideally situated closes to the beach and the resort’s main pool and boast of the ocean views. Some features include a living room, a terrace with hammock and a whirlpool tub, a full kitchen, a dining area, and a bathroom which similarly has a whirlpool tub, and a full bathroom with shower. A king size bed and an extra bed upon request can fit into the rooms. 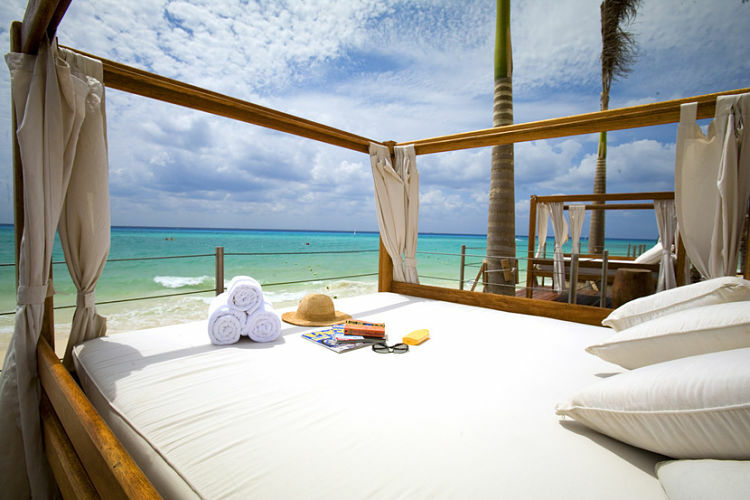 Luxury Ocean View Rooms feature ocean views, being close to the beach. These rooms have private balcony, too, and have mahogany wood furnishings, as well. The bathrooms each have a shower and super relaxing hydro massage bath tub. 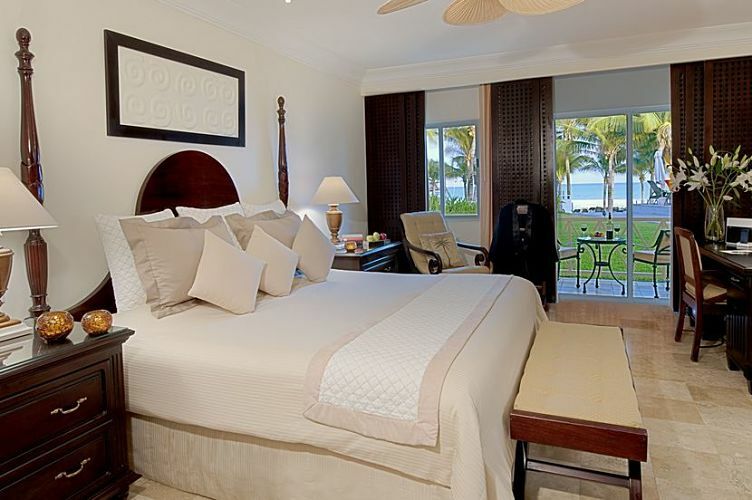 These rooms can accommodate 1 king size or 2 queen size beds. Duplex Suites are 2-story suites each with a living room and a dining area with a wet bar, a bathroom and a balcony on the first floor. A terrace, a large bedroom, a bath room are in the second floor. The terrace offers hours of relaxation on a hammock or a lounge chair. The bedroom can accommodate one king size bed and an extra bed upon request. Luxury Rooms are appointed with mahogany wood furnishings all throughout, each has a full bathroom with hydro massage bath tub and a shower. The rooms have terraces or balconies and offer tropical garden views. One king size or two queen size beds can be accommodated into these rooms. 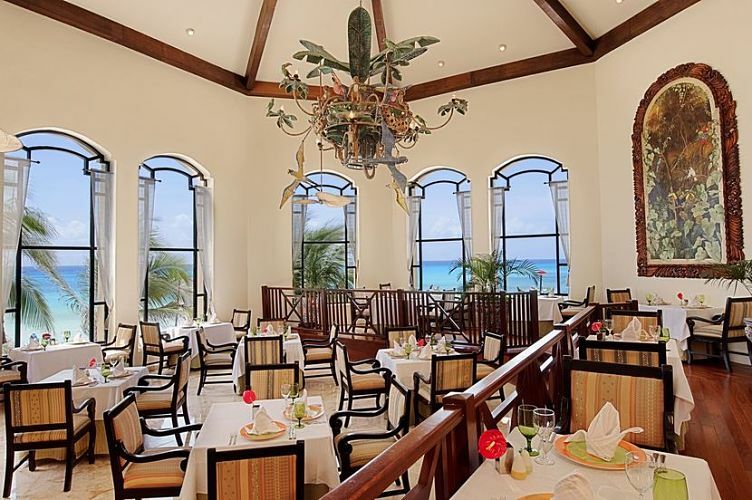 Las Ventanas is a cuisine restaurant offering creative and unique dishes that will delight guests with even the most delicate tastes. Spices specializes in Caribbean and Mexican food, local cuisine including sea food. 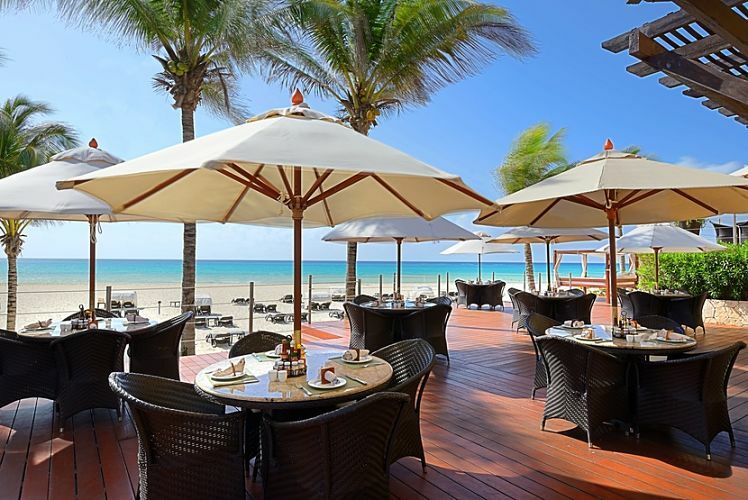 This diner offers a view of the Caribbean Sea; and serves breakfast, lunch and dinner. Palazzo is an elegant a la carte Italian restaurant. 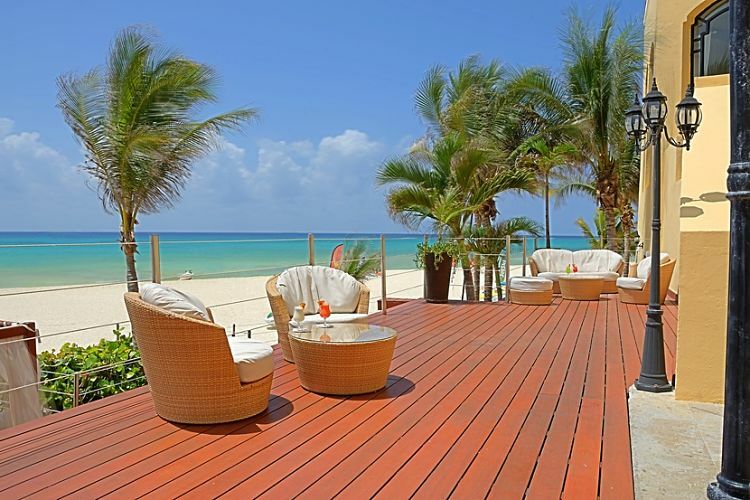 You can dine outdoors on its romantic terrace that offers a nice view of the Cozumel Island. Palazzo serves dinner from 6 to 10:30 pm. Azia offers gourmet specialties focusing on Thai and Japanese cuisine. Dinners are from 6 to 10:30 pm. Club Royale offers a stylish weekly dinner theater show. 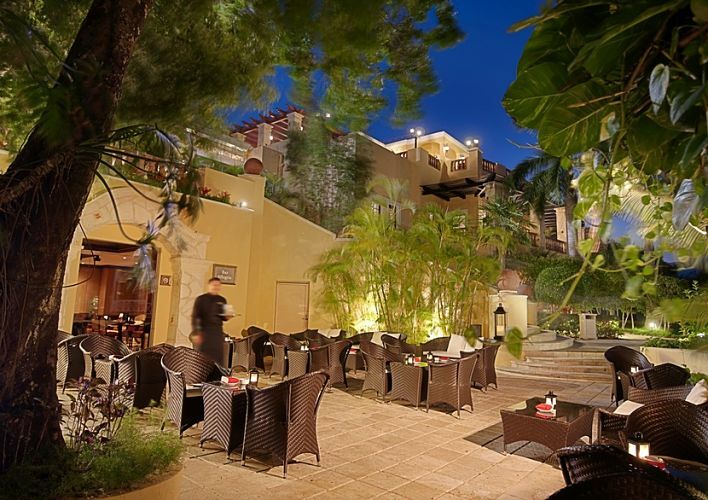 The Deck, Bar Allegria, Afternoon Tea, and the Bar Deck are some of the other establishments at the Royal Hideaway where you can get a bite and a drink. The Grill specializes in grilled fare and serves dinner from 7 to 10:00 pm. Chef’s Table offers 12+ courses of gourmet tasting menus that you can pair with the best wines. Feel delighted while watching the chefs come up with a dish through a combination of modern and traditional art of cooking. The Chef’s Table offers dinners from 7:30 to 10:00 pm.